Using a fine grater, grate the ginger against the grain into a small mixing bowl. Stir in the hoisin sauce, orange juice, oils, garlic, mustard, and pepper. Place the chicken wings in a baking dish and pour the marinade over the wings, tossing them in the mixture so they are coated all over. Cover the dish with plastic wrap and refrigerate for at least 4 hours or for as long as overnight. Set the oven at 375 degrees. 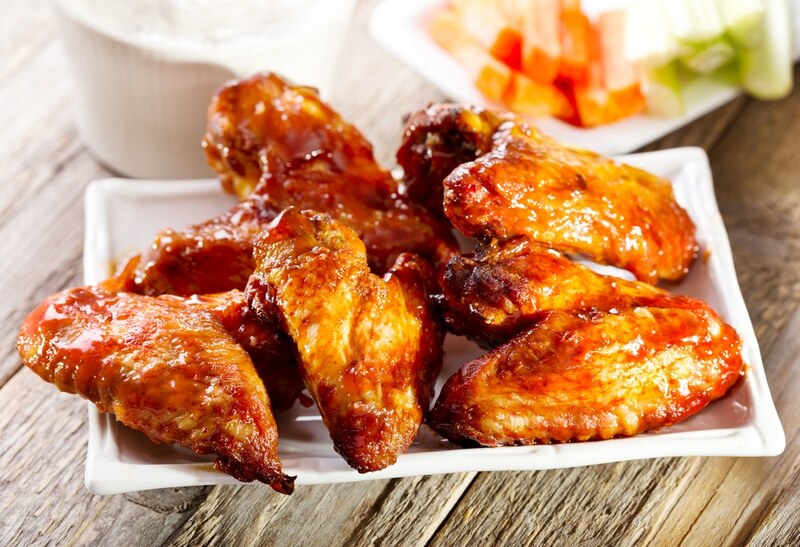 Remove the wings from the marinade and place them in a single layer on a rimmed baking sheet. Pour the marinade into a small saucepan. Roast the wings for 30 minutes, turning them once halfway through cooking. Meanwhile, add the honey to the marinade and set the saucepan over medium heat. Bring to a boil and simmer, stirring often, for 8 minutes, or until the mixture is syrupy. Remove the wings from the oven. Turn on the broiler. Broil the wings 12 inches from the broiling element, watching them carefully, for 2 minutes on a side, or until they are crisp. Brush them with marinade and serve at once.